(Select photo for larger image.) Police Chief Lawrence Mahuna poses with the newly-formed police cadet class. Standing: John H. Caudell III, Brandon K. Mansur, Aaron P.A. Abalos, Donny A. Millet, Micah K.M. Stevens. Sitting: Kenny A. Valdez, Tara A Benevides, Charmaine D. Sylva, Luke L. Johnson. The Hawaii Police Department’s new Police Cadet Program officially began Thursday (October 4) with its first cadet class. Seven young men and two young women cadets are now part-time employees of the Police Department. During their three-year cadet program, they will observe and participate in many different facets of police work and acquire the skills and knowledge necessary to become a police recruit. They won’t carry guns or have arrest powers, but in Phase II they will work with officers and detectives in a mentor program to learn police duties in patrol, records, dispatch, juvenile aid, criminal investigations and community policing. This cadet program is designed to appeal to recent high school students who are interested in becoming a police officer but aren’t old enough to apply for the job or anyone else interested in pursuing a law enforcement career. The goal is to give the cadets the same training as police recruits get but at a slower pace. 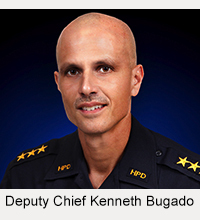 That way, they can make a seamless transition into an abbreviated police recruit class when they reach age 21, the minimum age requirement for becoming a police officer. 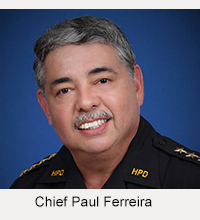 The cadets will also have the chance to participate in the Police Department’s Police Cadet Tuition Reimbursement Program for completing classes at the University of Hawaii at Hilo or Hawaii Community College. The college experience will broaden their backgrounds, expand their academic skills and prepare them for future advancement in the Police Department. The cadets will work three hours per week the first year and up to 19 hours per week the second and third years, earning $18.45 an hour. Open recruitment for the next cadet class is tentatively scheduled for January 2008. For more information about applying for the cadet class, call the Department of Human Resources at 961-8361. 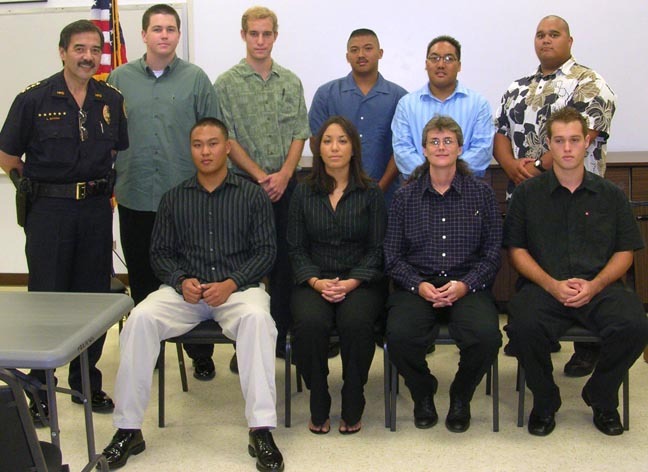 The cadet program is a Police Department project in partnership with the Department of Human Resources, Hawaii Community College, the University of Hawaii at Hilo and the State of Hawaii Organization of Police Officers.